This summit of talent actually delivers what the title promises. The quartet creates an all-encompassing portrait of the state of the art, in which what might be thought noise is adroitly recontextualized in a musical situation. In a way that's what the members have been doing throughout their illustrious careers. Given their daunting skills as improvisers, perhaps the surprise here is that they do so through the medium of composition. 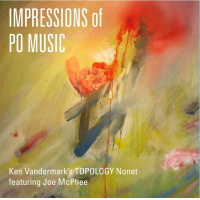 While Chicago reedman Ken Vandermark has forged connections across the world, his links with the New York scene have only really taken flight since his residency at The Stone, documented on Momentum 1: Stone (Audiographic Records, 2016). All three of the other participants appeared alongside him there, although trumpeter Nate Wooley already formed half of an inspired duo with the reedman. Pianist Sylvie Courvoisier and drummer Tom Rainey prove a similarly excellent fit in what could be seen as an avant-garde supergroup. All but Rainey each contribute three concise but event-filled charts to the 44-minute program. Courvoisier supplies a cracking opener, repurposing her tune "La Cigale," here named "Checkpoint," as the setting for a series of adventurous solos. The cut begins in spectacular fashion with an explosive Vandermark soliloquy, before the ensemble kicks in. In the tracks that follow, the compelling and diverse compositional frameworks allow the foursome to demonstrate their flair by all manner of means, from unaccompanied features like Wooley's swooshing exclamations and vocalized mutters on "VWCR," to duets such as that between Vandermark's squalling tenor and Rainey's tappy clip on "Tag," to striking juxtapositions exemplified by the silences scattered amid the deconstructed flow of "Truth Through Mass Individuation." 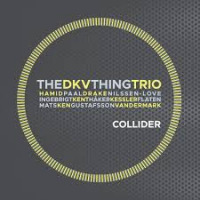 The palpable bond between the horn players shines during their spirited interplay on "Sparks" (a reimagining of Courvoisier's "Eclats For Ornette"). But it's just one strength among many. Rainey's flexible yet precise drumming, another major asset, performs a critical role in providing the connective tissue which unifies the nine pieces. He also forms a cohesive unit with Courvoisier, especially showcased in the sudden but stylistically varied piano/drum interjections which spice the horn drone in Wooley's "The Space Between the Teeth." 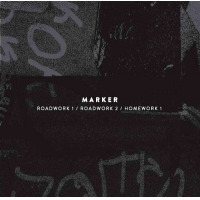 Vandermark's processional "Simple Cut" with its tolling minor key piano melody, serves as a wonderful, elegiac closing statement, its impact all the greater given the richness and density of what has come before. Track Listing: Checkpoint; Track and Field; Sparks; The Space Between the Teeth; Tag; Songs of Innocence; VWCR; Truth Through Mass Individuation; Simple Cut. 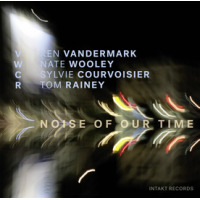 Personnel: Ken Vandermark: Tenor Saxophone, Clarinet; Nate Wooley: Trumpet; Sylvie Courvoisier: Piano;Tom Rainey: Drums.